It's amazing how today's modern research and brain imaging technology shows how multilingualism actually strengthens the brain. In an article published by Mindshift accompanied by the video below by Lisa LaBracio for Ted-Ed, we learn that people who speak more than one language actually have a higher density of gray matter that contains most of the brains neurons and synapses. The study also compares the differences between learning a new language as a child vs. adult. The interview also explains that human contact is important when teaching children a new language. Singing, reading, and talking with your children in the new language and taking children to cultural events also help encourage language learning. At Little Pim, we believe introducing your child to a new language at an early age can give your child many advantages. The best time to learn a language is under the age of 6. Don't miss the window of opportunity when it's easy for them to learn. Invest in their future…A little language goes a long way. In spreading this message in the past (as we will continue to do in the future), we hopefully indirectly made the case for the preservation of dying languages. Additionally, in teaching what are currently actively used languages, we aim to prevent their downfall into the endangered category one day. Yet, today, in this article, we will take a firmer stand for endangered languages, giving them a voice that might otherwise soon be taken away. It is with this voice that endangered languages might return from the edge of extinction. It is with power in numbers that we can spread the word and reach someone in a position to change an endangered language’s course, so share this if you like the rest of the article. I will explain how we classify levels of endangerment, expound on why you and your family should care, and share what YOU can do to create a better future in which we maintain cultural diversity and awareness. How do we know when a language is dead? There are two main measurements of a language’s vitality, the number of speakers and the number of avenues of use. Many languages can be said to have few speakers, but the word “few” is loose and open to interpretation. Determining the exact number of speakers of a language, however, allows linguists to be specific in distinguishing between levels of endangerment. Arikara, which you may recall is in our backyard in North Dakota, is a critically endangered language, with only 3 speakers still alive while the Cherokee language spoken in Oklahoma is classified as a vulnerable language, with only 1,000 speakers. The number of functions a language takes on, whether that be in prayer, in scripture, in school, in ceremonies, etc. can quantitatively represent a language’s vitality, because the more sectors of life the language is involved in, the more spoken it must be, and the more it veers away from the edge of extinction. Some other factors linguists consider with regards to a language’s vitality are the age range of speakers, the number of speakers adopting a second language, the population size of the ethnic group the language is connected to, and the rate of migration into and out of the epicenter of the language. In history, conquered civilizations have had to adopt the language of their conqueror in order to fit into their social structure and economy. This is the case because language is so integral to a culture. From writing literature, carrying out rituals and practicing religion to voting in elections, all the human interactions associated with a culture involve written or spoken word. Effectively when a language dies, the culture associated with it dwindles away as well. If 50%-90% of languages die within the century, 50%-90% of existing cultures will likely die as well. Many of these cultures that will die out only possess oral histories, so we will lose out on the knowledge they have gained from years and years of experience. Even if some of the cultures whose languages die have been documented, without active speakers, their thoughts and practices will likely be left behind in favor of the ones possessed by the dominant cultures and languages. Accordingly, our future society will lack in a diversity of thought and practice due to a lack of cultural diversity. Not only do we lose diversity of culture and thereby thought when languages die, but also when people conform to speaking one language, as is the case with English in the business world. If we continue along this path, we will become a monolingual, culturally homogenous society. In such a society, people might communicate efficiently because they speak the same language, but creativity would be strangled and progress slowed. To prevent the fate of becoming a uniform society, we must recognize that cultural exchange is a two-way street. People speaking endangered languages are learning other languages to be able to interact with members of their extended community. While it may be hard for us to learn endangered languages, we can educate ourselves on which ones are endangered and why, learn about the cultures the endangered languages are from, and encourage their preservation. For example, the Arikara people were originally a semi-nomadic community that expertly harvested corn and tobacco. This mastery of the land gave way to power over other groups living in the plains until smallpox hit. Would this knowledge of the land past on from generation to generation in their language be lost in translation if the language died? Time will unfortunately tell. Moreover, to avoid one major language from pushing out the others in the future, English-speaking people could learn other languages to communicate with non-English-speaking people, tapping into a whole wealth of knowledge they otherwise wouldn’t have access to. We cannot become complacent just because English is the “language of business.” Little Pim can open your child’s eyes to these other languages and vibrant cultures in the click of a button… literally. Check out our new iOS app! Live in a Spanish-speaking community? Try our Spanish for Kids program. Want to know more than the words for French foods on the bistro menu? Try our French for Kids program. Uh um eh. We often find ourselves tripping on our words. This inability to articulate our thoughts can be the unfortunate side effect of nerves when addressing a crowd, discomfort talking to a stranger, or tiredness after a late night. However, it’s not always our fault at all. In fact, the English language is missing some words to succinctly describe a situation or feeling. Below is a list of just 10 of these words in foreign languages that efficiently express sentence-long concepts in English. Fun fact: the concepts that the English language doesn’t have words to describe are often unpopular, unaccepted or previously non-existent in our culture, which reveals how critical a role culture plays in language evolution. You may not want to integrate these words into your daily English conversation, but they are perfect for trivia or an icebreaker and they shed light on the power of language to provide speakers with the agency to voice thoughts. In English, we sometimes call things “perfectly imperfect.” The Japanese have eloquently expounded on this oxymoron by giving a name to the ability to find the beauty in flaws and to accept life’s cyclic nature of growth and decay. American singer Lana Del Ray’s “Young and Beautiful” asks “Will you still love me when I’m no longer young and beautiful?” and is therefore somewhat of an ode to this this subject matter. In Starbucks, you can always spot the people who haven’t bought a lot but are really just there to hang out, read a book, research for a paper, answer emails, or just kinda people watch. You know who you are. Well, the French have ingeniously come up with a word to describe these individuals who should owe rent to the coffee shop. The girl or guy at the party who is just a little bit too orange for comfort and definitely owns a membership to the tanning salon is perfectly described by this one word. Overhearing the silence after a colleague makes a bad joke to a group of coworkers or watching on as a woman in heels trips down the steps to the subway can cause you to cringe yourself. This discomfort born of others’ actions and the natural human urge to sympathize is described by this Spanish expression. While there was never a way to describe this feeling in English, kids today have come up with the phrase “second-hand embarrassment.” This goes to show how our language is evolving to fill holes that other languages filled long ago. Such a conversation might ensue when you feel an emptiness or lack of fulfillment that can’t be attached to anything specifically. You might desire something without knowing what that something is. We have all experienced it, but most of us bottle it up or sweep it under the rug, because it’s hard to communicate to those we trust and/or love. The Russians have crated a solution to this problem by having a word to describe this feeling. If you were assigned the task to write a paper analyzing Shakespeare’s Romeo and Juliet, this Arabic word, meaning the desire to die before someone else, because life without him or her would be too difficult, could prove useful. When your child loses his or her favorite stuffed animal to the devastating toilet plunge, he or she is suffering from this feeling: a yearning for something or someone that has been lost. The deal you have been staffed to at your job, the deal whose pitch you spent sleepless nights writing, you ran by seventeen different superiors, you revised thousands of times, and you cried about more than you would like to admit, just closed. That inexplicable sense of pride in yourself and the perfection of your work is no longer inexplicable thanks to this Chinese word. When you ask your significant other, “Does this piece of clothing make me look fat?” or “Do you even think I’m pretty/handsome?” There is only one acceptable answer. If you have ever been on the receiving end of those questions, you know that. This concept of there being a “correct” answer that a person has no choice but to give has its own recently added word in Korean but no English counterpart as of yet. Father’s Day, Sunday June 18th, is a time to celebrate family, love, and happiness. All of the warm sentiments conjured on this day will mirror the warm weather forecasted in New York, where Little Pim is based, creating perfect conditions to have a wonderful day. What could make the day any better? Foreign language. While a shared appreciation for a father figure unites a family, exposure to a foreign language can unite an immigrant or multicultural family with its roots and can unite a curious family around a common love for learning. Language learning can be seamlessly incorporated into your plans for the day, whether you are attending a barbecue, heading to the beach, or staying in the comforts of your own home. It’s not only easy but fun, so read on for some helpful tips. As you are slicing the fruit for a platter or tossing the salad to kick off the barbecue, you can make use of the vibrant array of colors on display to teach your child another language. The Little Pim flash card sets include the words for colors for each language offered. Accordingly, even if you aren’t proficient in the language you would like to teach, the cards can provide you with the necessary vocabulary to turn this fairly boring task into a fun language learning opportunity. 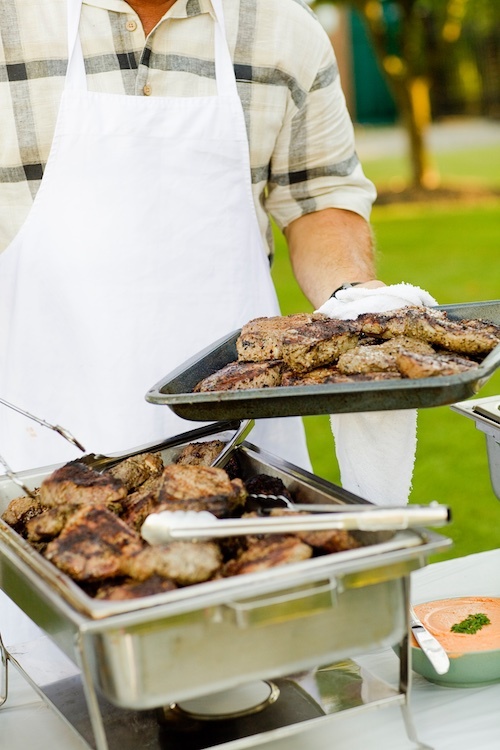 Moreover, as the adults surround the grill, and conversations about work inevitably ensue, your child might grow bored. To keep them happy and engaged, you can simply hand over your iPad. While this parenting move often leads to gaming, which isn’t necessarily intellectually challenging or fruitful for your child, you can use Little Pim livestream, to turn this moment into another language learning opportunity. As the eating winds down and everyone is still gathered around the table or fire pit, you can introduce a fun language learning game to liven up the mood. In the game, you can choose a flashcard from the deck at random. You can’t let your child see it. Similar to the wildly popular game “Heads Up,” your child then holds the card to their forehead. Make sure to have the English translation side face the rest of the table. The other family members and friends have to give verbal hints or act out gestures based on which your child can guess the word in English. Once your child has successfully guessed the word, in order to earn a bonus point, he or she must translate the word into the foreign language of your choice. As you pack your bag for the beach, make an assembly line with you and your child. As you pick up an item, pass it to your child and have him or her try to name the word in the foreign language. Many of the words that would likely be useful during this exercise are part of the flashcard sets, but below is a short list with translations into French and Spanish for your convenience. The highly anticipated ocean entry is another chance for you to involve some language learning into Father’s Day fun. While some kids are hesitant to enter the cold water, you can make it less intimidating by turning it into a game. You can call out what is written on one side of the flashcard and have them translate into or from English. Each correct answer can be a step backward towards “safety,” and each incorrect answer can be a step closer to the waves, or vice versa if your child is excited to go into the water. The car ride home is perfect chance to pop in a French Bop or Spanish Bop CD. More information and statistics encouraging listening to music sung in a foreign language can be found in a recent blog posting. If Father’s Day will be low-key at home for you and your family, language learning might be the perfect stimulus to brighten the day. For example, while your child is writing that cute letter to Dad that you will save for years to come, you can teach them how to say some of the words in his or her letter in other languages. While below is a short list of words and phrases your child is likely to use translated into French and Spanish, Little Pim’s content covers many more languages. Happy Father’s Day from Little Pim to you and your family! We hope language learning can make an amazing day even better. You have all likely heard the song “Despacito” (lyric video below) recently, whether you know it or not, as it has been played on every radio station. Justin Bieber’s feature has helped the Spanish song rise to the top of the charts. Fascinatingly, a 2015 census confirmed that in certain Miami communities up to 90% of the population speaks Spanish, and 2016 data notes that nearly 70% of the county is Hispanic. Moreover, in 2015, half of New Yorkers were recorded to speak a language besides English at home. The success of the song coupled with these statistics demonstrate how culturally integrated our society has become. Whether or not you currently live in an urban metropolis, like Miami or New York, where cross-cultural interaction is extremely frequent, teaching your child foreign languages at a young age is not only fun but prepares them to thrive in an increasingly globalized world. Knowing more than one language, which can start with learning a simple song, opens doors for your children in the classroom and in the workplace. Let’s talk about some more boring statistics so that I can show you the value of turning on a song in a foreign language. Only 1.5% of the students enrolled in higher education in the 2014-2015 school year studied abroad. Each of these students, by immersing themselves in a different culture, often speaking a different language, propelled personal and future professional growth. The ability to recognize and appreciate cultural differences via an immersive experience motivates a certain respect that is often lacking among individuals in such a polarized political and social climate in the US. Additionally, the fluency in a language and understanding of cultural norms and traditions of a country brought about by a study-abroad also make an individual a greater asset to potential employers, as 95% of consumers across the globe live outside of the US. 95%! Learning the language of that culture prior to visiting maximizes the power of this experience to spur development. Afford your child the same personal and professional benefits as this mere 1.5% of students by teaching them a foreign language and exposing them to a different culture. After being exposed to data that connotes language learning’s capacity to permit personal and professional growth, a parent is saddled with the question: how do I get my child excited about language learning? You have likely subconsciously heard the answer to this question in listening to songs like “Despacito.” Kids respond very positively to music, and there are countless simple songs that can provide a perfect introduction to a foreign language. 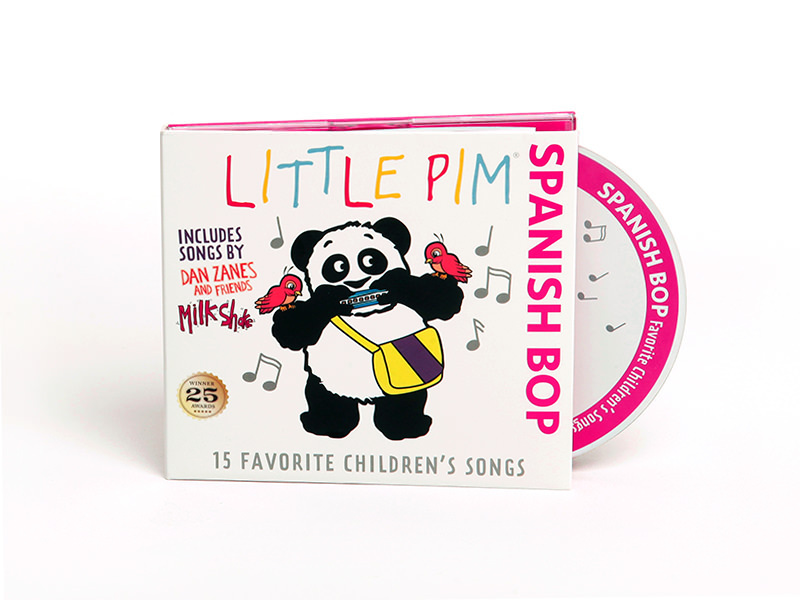 Little Pim, as a company dedicated to making language-learning fun and accessible, has compiled some of these songs into Spanish and French CD’s for kids. As the heat waves roll in and you and your family begin planning summer road trips or weekend getaways, these CD’s are the perfect in-car activity. If you are a bilingual family, you may be able to immediately pick up the lyrics and sing along with the CD as your child learns. If you are learning alongside your child, it can be a beautiful bonding experience. Language learning doesn’t have to be extremely serious or scary. It can start with a single CD and turn into a worthwhile investment in your child’s future. Spanish Bop album with lyrics. 15 fun children songs for children. French Bop Album with 15 songs that your children can sing along to. Russian Language Day, proclaimed by the United Nations in 2010, is observed annually on June 6th. It also coincides with the birthday of Alexander Pushkin (6 June 1799 – 10 February 1837), a Russian poet who is considered the father of modern Russian literature. Celebrate today by introducing your child to the Russian language with the help of Little Pim! Watch Little Pim, the Panda say the Russian words for all sorts of foods! Did you know that Russian is spoken by almost 280 million people worldwide? It is the 5th most frequently spoken language in the world! The official language of the former Soviet Union, it is still spoken in 15 European and Asian countries. International political developments and growing business opportunities with multinational companies have led to increased demand for Russian speaking employees and experts, and thus, increased opportunities for Russian speakers. Little Pim Russian helps children develop the unique speaking and listening skills necessary for learning the language. The traditional view of imposing language learning on children is that the two languages would interfere with each other and slow literacy learning. There is some evidence that learning two languages in early education does impose additional stressors on the brain. New evidence suggests that this stress actually improves mental ability. The demand forces the brain to solve some fundamental learning problems which monolingual children never have to face. The key difference between monolingual and bilingual children goes beyond the ability to control the suppression of one language and select the other language at will. It seems to be about improvements in ability to monitor surroundings and sensitivity to the environment. New studies indicate that the multilingual exposure is manifest in improved social skills in children. The ability to monitor the environment is especially important for social interaction. Children who have learned how to select among learned languages are better at considering the point of view of others. This is a critical developmental faculty that the pioneering developmental psychologist Jean Piaget called "decentering." Children in multilingual environments have ample practice considering the point of view of others. They are also more aware that there is more than one point of view. Children who learn more than one language are often raised in environments surrounded by multiple languages and cultures. They learn early how to see the world through widely varied eyes, a range of different perspectives. They learn to account for other perspectives in their communication and their attitude development. Not only do they become more decentered (in Piaget's terms) but they become less "egocentric" as well. At Little Pim, we believe that all children deserve to learn a second language. We use a natural immersive method of teaching. Please contact us to learn more. Introducing children to foreign languages is not a far cry from encouraging kids to try sports. However, so long as our parental motives are pure, foreign languages are the simpler of the two! The following list includes unique ways to introduce your kids to foreign languages. You can integrate these ideas into Spring/Summer plans already made, and don't you worry, no athletic ability required! Are you taking a trip via plane, car, or bike? Invite your child to be the guide! Previously teach and discuss key vocabulary words used when traveling through the foreign country. Make your tiny guide a badge, and write in the language he/she is learning. If your child is too young, then it's you! Role play as a pilot, taxi driver, or tour guide. Use new, simple vocabulary, and be sure to note the scenery you spot! If your child is just beginning, have him/her repeat the key words after you. You can also use music CDs and videos found here to keep them learning on-the-go. Go all out: Dress the part, and pack along common snacks or candies found in your country of study. 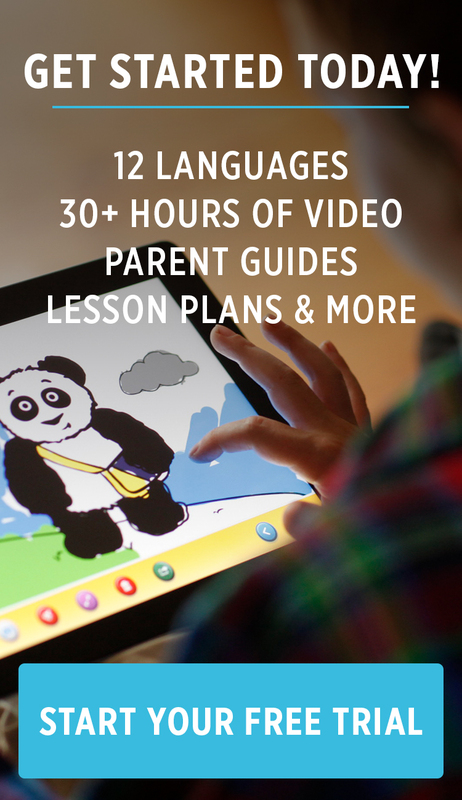 Whether you've been quarantined for days, or a few hours which feel as long, Little Pim offers of award-winning language learning videos and companion products to bring foreign languages into your home. Make a game with the flashcards and allow your child to quiz you! Read board books before nap time as your child snuggles a Little Pim panda plush. Do you have any bilingual friends? Invite them over for a multicultural meal and let them know you're interested in introducing your child to the foreign language and culture. Request for this friend to speak only in the language new to your child. Before your guest arrives, discuss with your child a few questions to ask. If your child is a bit older, he/she can even conduct an interview. Go all out: Prepare a cuisine native to the foreign country of study. Plan a scavenger hunt! Using the foreign language of choice, give direction and leave clues for your child. Allow your child to invite friends to help solve the mystery of lost treasure. As for the treasure itself, pick up a new video, book, or tickets to a cultural experience; anything to further teach in an unforgettable way. Pack a picnic! Bring along library books, trinkets, and colorful pictures of foods served in the appropriate country. Have your child make labels for each food item before you pack them. Play foreign music as you eat. Go all out: Dine at the same time persons native to the country of study are also eating. As you eat your meal, excite your child, "It's as if we're really there!" Need more resources, products, or help choosing which foreign language is best to introduce to your child? Please check out our language guide or email us at help@littlepim.com with any question. Little Pim is grateful to help!